Contact us today for your free quote. 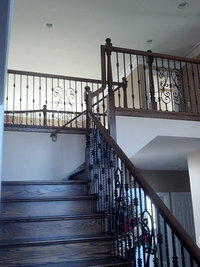 We specialize in custom wood and tile designs for floors, walls, staircases, bathrooms, kitchens and much more. Ask us about our dustless hardwood floor sanding system which virtually eliminates all airborne dust, requiring minimal plastic covering and prepwork.